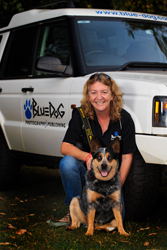 The Bluedog kennel is located at Tamborine Mountain in the hinterland of the Gold Coast, Queensland, Australia. Tamborine Mountain is a fifty minute drive from Brisbane or 35 minutes from the Gold Coast. The Bluedog Photography workshops, retreats and tours are run by specially selected professional photographic tutors. Passionate about photography, excited to take on new technology and dedicated to passing on their knowledge, the team at Bluedog are wonderfully talented professionals from varied fields in photography. With a range of guest professional tutors we bring you both face-face and online a wonderful mix of sessions as we all work in the field. Quite simply, it comes down to the quality of our tutors and the structure of our workshops. 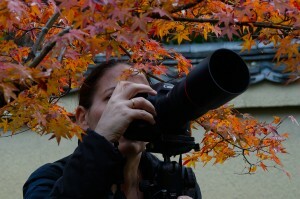 All of our tutors continue working as professional photographers. Meet a few currently featured below. 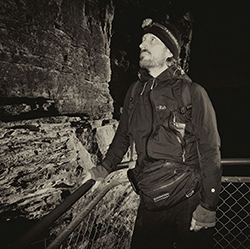 Each has taught various aspects of photography throughout Australia – both face-to-face and on-line. You may be a good photographer but that does not mean you can teach. All of our tutors continue to be students themselves, striving to learn more about their field and better their own photography. They are proud to have the knowledge, confidence and patience to take you on an exciting path with your work. We keep our workshop numbers small to ensure participants receive individual attention to gain the maximum benefit and to have all their questions answered. Join us and under the guidance of professional photographers explore the world of photography, learn hands on and meet new friends. The team at Bluedog supply work for a range of national and international clients. Every job undertaken is overseen to ensure quality and time frames are always met and standards are kept well above average. We get asked this question a lot. Danielle had been operating as a sole trader in the photography industry for about 10 years when she decided that she needed to form a company to ensure the ongoing success of her photography workshop business. After submitting numerous business names for registration (all rejected – it might have had something to do with the names being weird and wonderful combinations of her children’s names! ), Danielle was making yet another submission when she looked down at her Blue Cattle Dog, curled up at her feet, and on a whim submitted Bluedog. The submission was accepted, the rest is history – that was back in 1996 – and there continues to be a Bluedog in the “kennel” to this day. Dedicated to the promotion of photography and passionate about passing on her skills so everyone can enjoy their photography, Danielle Lancaster is one of the most devoted people in this arena you are likely to come across. Her enthusiasm is infectious, her ‘photo talk’ plain and simple and her fervour unrelentless. Since studying at the Queensland College of Art, Brisbane, she has had an exciting and varied career as a professional photographer for nearly 30 years earning her bread and butter by the click of a shutter. From sports (the first official female photographer at a Bathurst Hardie 1000) to newspapers and chasing the stories of murder, corruption and theft to portraiture, fashion and weddings, Danielle also has written and taught many photography modules for TAFE New South Wales. Danielle now specialises in two areas: social documentation and tourism photo journalism and running the Bluedog Photography workshops, retreats and tours. Images are supplied to numerous corporate, government and private sectors both nationally and internationally. Some of her current clients include: Tourism Queensland, 4×4 Australia, News Ltd, ACP, Travel There Next, TravPix, RACQ Road Ahead. Danielle holds a Certificate IV in Assessment and Workplace Training, has lectured in photography (digital and film), art history and design and delivered workshops and spoken at conferences for the Queensland Government, Queensland RADF, Shire Councils and other authorities in Australia and New Zealand. She has also been part of solo and group exhibitions. Danielle won Best Travel Book in 2014 with ‘4WD Treks Close to Brisbane’, a two year enormous effort of mapping, writing and photographing. In 2004 ‘Out around the Bulloo’ a pictorial essay of the remote Bulloo Shire in western Queensland was published which received rave reviews in Australia and overseas as “capturing the pure essence of the area”. 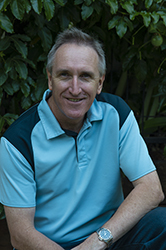 David shoots the catwalks of Brisbane to New York and operates a successful boutique photographic and modelling business in south-east Queensland along with tutoring courses, retreats and tours with Bluedog Photography. Originally from a landscape and product background, of which he still shoots for private clients, David’s patience and dedication in assisting you capture special images is exceptional. Dylan is an honors student of Griffith University and he loves sharing new techniques and helping others understand their photography. Patience and dedication in assisting you to capture special images is Dylan’s philsophy. As the new kid on the block, we look forard to you enjoying time with Dylan and learning new techniques in photography in a now fuss, fun and informative way way. 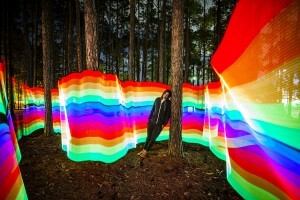 Graham is a graphic designer, illustrator and Certified Adobe Trainer located in Brisbane, Australia. He also paints in acrylic and oil on canvas and sees digital imaging as creative tool With a deep passion for digital photography. We introduce Graham Bliss. Graham trains students in Adobe Illustrator, Photoshop and InDesign, Adobe Creative Suite CS6 and Creative Cloud. His portfolio includes a wide-range of illustrations and designs commissioned by Advertising Agencies, Publishers and design companies located in Brisbane, Sydney, and Melbourne. His work has been reproduced in books, magazines and newspapers, on stationery, posters and billboards, on clothing, game cards and a number of varied merchandising items. Graham’s illustrations and artwork have also been included in a number of joint exhibitions in Brisbane, Sydney and Melbourne. David, an award winning photographer, has had and abiding passion for photography for over thirty years since first picking up his Dad’s Rolleiflex. He immersed himself from a young age in art, photography and culture studying photography classes at school, taking photography art workshops at Sydney University Tin Sheds and Canberra School of Art. Gigapixel ultra-high resolution imaging, David brings his unique vision and aesthetic to his subject matter. covering rallies on the streets of Sydney and bush protest camps and running the papers dark room. studies in photography at the Sydney Institute of Technology and set up a studio in Redfern. He is a selected Magnum Photographer, exhibited as a guest at Head On Photo Festival for two years running. Award-winning photographer Rebecca brings a skill set perfect for the Bluedog philosophy. Her main genres are wedding, baby and portrait; however Rebecca is also an accomplished photographer submitting to numerous digital and print outlets. She operates a studio from Burleigh Heads. He has had a number of successful books published of his work including: Numurkah lakes & Roses, Second Spring – The Regeneration of the Jesuits, The Oz Factor, A World of Australians, Contemporary Photographer: Australia – MICHAEL COYNE, The Jew called Jesus, Tour of Duty – East Timor, Lonely Planet – People Photography, How To be A Child and Armageddon. His numerous awards include: American National Press Photographers Association, Overseas Press Club of America, FCC Hong Kong Human Rights Certificate, Children’s Book of the Year, The Religious Book of the Year. In April 2003 Michael was awarded the “Centenary Medal” by the Australian Government for Services to Photography. He was awarded the degree of Doctor of Philosophy (by Publication) from Griffith University in October 2008. 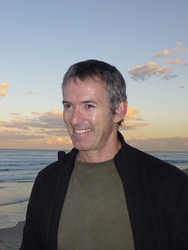 Dr. Michael Coyne was granted the title of, Adjunct Professor of Photography at RMIT University in October 2008. 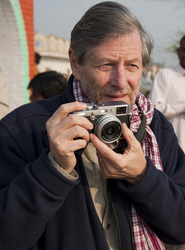 In 2011 he was awarded a Fellowship by the AIPP for services to Australian photography.